An motorcycle rider was wedged underneath a parked car in a recent accident. According to ABC40, the driver was traveling at a high rate of speed, and that speed contributed to the accident. The motorcyclist landed in the hospital with some serious internal injuries. He was also cited for driving with a revoked license. “The driver of the motorcycle went under the car and the car came back down on him and he was pinned by the rear tire of the car underneath him,” said Dennis Leger with the Springfield fire department. Our Springfield motorcycle accident lawyers understand that this is only one of many motorcycle accidents that we’ve seen in the last month in the area. Some of them involving speed, too. As a matter of fact, speed and passing on the right are two of the most common factors in these kinds of accidents. And it’s these two factors that can be easily managed with safe and responsible driving habits. When you’re riding in a high traffic area, like the city, you’ve got to be more careful. Where there are more vehicles and more irresponsible drivers, your risks for an accident skyrocket. If you didn’t know, bikers refer to trucks and cars as “cages” when they’re out riding. Why? It’s because these bigger vehicles serve as a protecting cage for the drivers, whereas motorcyclists have no cage of protection. One of the best form of a “cage” that a biker can have is a helmet. Make sure you’re always wearing one. According to American Motorcycle Association (AMA), motorcyclists in the state of Massachusetts are required by law to wear a helmet at all times. Did you know that motorcyclists are 35 times more likely to experience a deadly accident on the road than those in passenger cars? As a matter of fact, the National Highway Traffic Safety Administration (NHTSA) reports that there were close to 50 motorcyclists killed in the state of Massachusetts in 2011. Of these fatalities, 88 percent were helmeted. Our mandatory helmet law helps riders who may one day find themselves in an accident. Your skills and safety measures behind those handlebars determine the rest. 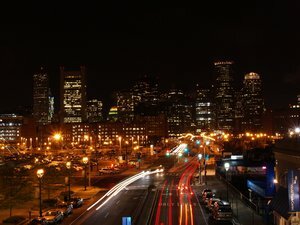 When you’re out there on the open road, the Massachusetts Highway Department recommends that you always wear protective gear, in addition to always using your turn signals and hand signs, always practice your best defensive driving habits, avoid sharing lanes with other vehicles and make sure you’re properly trained and up to date with your riding skills. Motorcycle safety is all in how you ride. Many accidents can be prevented with responsible riding. A motorcyclist from Quincy was recently injured when an SUV slammed into him. According to the Herald-Whig, the accident happened just before 9:00 p.m. on Locust and 24th. It happened as the SUV was heading north, when it attempted to make a left turn and slammed into the motorcyclist. The SUV driver was ticketed for failure to yield-left turn. The motorcyclist was transported to Blessing Hospital and treated for “serious” injuries, according to accident reports. The other driver was not injured in the collision. Our Quincy motorcycle accident lawyers understand that there were close to 50 motorcyclists killed in the state of Massachusetts in 2011. According to the National Highway Traffic Safety Administration (NHTSA), these types of accidents are actually on the rise. From 2010 to 2011, we saw a 2 percent increase in the number of motorcyclist fatalities nationwide. It’s important that you know what you’re doing and you know what dangers to look for when you’re out there riding on two wheels. According to the Massachusetts Registry of Motor Vehicles, a junior operator under the age of 18 must complete the Massachusetts Rider Education Program (MREP) to get a Class M (motorcycle) license or endorsement. The truth of the matter is that passenger-car drivers, not motorcyclists, are responsible for close to 70 percent of car-motorcycle crashes. Oftentimes, drivers don’t see the motorcyclist until it’s too late to avoid an accident. -When drivers make left-hand turns in front of motorcyclists. -When motorcyclists ride in the blind spots of a vehicle. -When there are dangerous road conditions, including railroad tracks, wet pavement and even potholes. -When there is an obstructed line of sight. As you can see, passenger car drivers are largely responsible for these accidents. If you’re the driver of a passenger vehicle, it’s important that you keep an eye out for these vulnerable travelers. Remember: Check twice, save a life. It’s a good idea to anticipate a rider’s maneuvers out there. Never drive too close to them as sometimes they are forced maneuver within their lane to avoid road debris. Never share lanes! With your safe driving habits, we can all do our part in working to make the roads safer for everyone — especially the more vulnerable motorcyclists. While we continue to remind all motorists are reminded to safely “share the road” with motorcycles and to be extra alert to help keep motorcyclists safe. Motorcyclists are reminded to make themselves visible to other motorists. -Make sure you’re properly trained and licensed. -Always wear your protective gear. -Never ride under the influence of drugs or alcohol. -Never exceed your riding skills. -Be a lifelong learner by taking refresher rider courses. -Make sure other drivers can see you. Don’t ride in blind spots and always use your headlights. -Brake smart. Use both brakes at the same time, slow and steady. Motorcycle riders are some of the most vulnerable motorists on our roads. We’ve seen far too many motorcycle accidents, injuries and fatalities in recent weeks in the state of Massachusetts. According to the Boston Globe, a 23-year-old rider died in a recent Merrimac accident. He was riding near the New Hampshire line when it happened. He was pronounced dead from injuries sustained in the accident. Wicked Local reports that another motorcyclist was injured while riding along Route 3A in another recent accident. This motorcyclist dies as they attempted to enter the Driftway roundabout. Accident reports indicate that the driver was passing cars and speeding when the incident happened. Our Boston motorcycle accident lawyers understand that motorcyclists have much less bodily protection that we do in passenger vehicles. Their risks for injuries and death in the event of an accident is thus much higher. Just look at the accident that happened in Ware. This is another in which we lost the life of a motorcyclist. According to ABC40, this one happened along Route 9. According to the National Highway Traffic Safety Administration (NHTSA), there were close to 50 motorcyclists killed in traffic accidents in the state of Massachusetts in 2011. And many of these accidents could have been prevented. -Before you hop on and ride out, give your bike an inspection. Make sure the fluids are okay, the lights work properly and the tread on your tires is adequate. -Make sure you’ve always got a helmet on. This is your number one defense against injury and death in the event of an accident. Your best bet is to use a U. S. Department of Transportation approved helmet. Remember that, in the state of Massachusetts, helmets are required by law. -Stay out of the blind spots of other drivers. Rule of thumb: if you cannot see the driver, then the driver cannot see you. -Make your riding maneuvers as predictable as possible. Always use a blinker and signal your maneuvers. -Of all vehicles, motorcycles accelerate the fastest, while trucks and buses are the slowest. Please watch your speed around trucks, especially in bad weather or at night. -Do not ride between the lanes, it is not safe nor is it legal to pass a vehicle within the same lane. -Never ride under the influence. The National Highway Traffic Safety Administration (NHTSA) reports that more than 40 percent of motorcyclists who die in single-vehicle crashes were drunk at the time of the accident. Officials with the Insurance Institute for Highway Safety (IIHS) are pushing to get antilock braking systems (ABS) on all motorcycles. 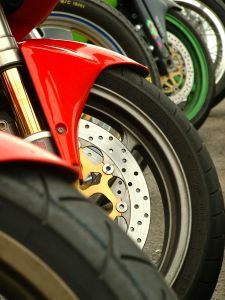 According to the latest research, these kinds of brakes are more effective in preventing motorcycle accidents — more than 30 percent more effective to be exact. But the IIHS isn’t the only one to get in on the safety conversation. Officials with the Highway Loss Data Institute (HLDI) have also calculated that motorcyclists with ABS are about 20 percent less likely to die in an accident than motorcyclists without the technology. Their data has also concluded that ABS had an even bigger effect in conjunction with combined braking systems, which integrate a motorcycle’s front and rear brake controls. Both of these technologies, when used together, can reduce your risks for an accident by about a third. Our Quincy motorcycle accident lawyers understand that there was a significant decrease in the number of fatalities among motorcyclists with ABS in 2008, and then again in 2010. With these findings, officials with the IIHS and with the HLDI urged the government to make these kinds of brakes mandatory on all bikes. Officials are once again at it — officially petitioning the National Highway Traffic Safety Administration (NHTSA). “We hope NHTSA will agree that it’s time to take action to ensure all riders get the benefit of this lifesaving technology,” says Adrian Lund, president of both HLDI and IIHS. We understand that there were more than 4,600 motorcyclists killed in traffic accidents in 2011. Unfortunately, that’s about a 2 percent increase from the previous year. But we can’t necessarily blame the brakes for this increase. With the downturn of the economy, more rider switched over to these two-wheeled vehicles for a more cost-effective way to get around. With busy travel season, more motorists equated to more accidents. And that’s where we stand now. In the state of Massachusetts, there were close to 40 motorcyclists killed in traffic accidents in 2011. That’s a number that could have been greatly reduced if more motorcyclists had ABS and if more wore helmets. About 12 percent of them were not helmeted at the time of impact. In addition to the safety gear, you’ve got to have the knowledge and the skill to stay safe out there. You should know the techniques to drive safely and you should know the risks and the hazards that you need to be on the lookout for out there while riding on two wheels. We’re asking all motorcyclists to enroll in a biking safety course — not because you don’t know what you’re doing, but because it’s always a good idea to brush up on your motorcycling skills. Find a location near you here. Hard as it is to believe as we peer through frosty windows on our daily commute, motorcycles will be hitting the roads in just a few short weeks. And a new report contends older riders may be at greater risk. Motorcycles are ridden by people of all ages and enjoyed by many throughout the greater Boston area. Unfortunately, while motorcycles can be a fun and effective method of transportation, riding a motorcycle can also be dangerous. 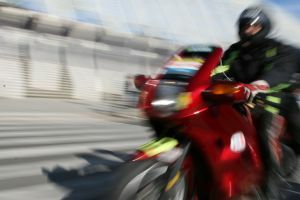 According to one recent study, the risks of a motorcycle accident aren’t equal-opportunity risks. In fact, the study indicates that older motorcycle riders are much more likely to be hospitalized or to suffer serious injury in a motorcycle accident than younger drivers. Our Boston accident lawyers urge all motorcycle riders (and those considering riding) to take a look at the study data and to do everything they can to keep themselves safe and avoid becoming a statistic. The new information on older motorcycle riders was identified in a report published in Injury Prevention, a journal on risk and accidents/injuries. BBC News reported on the Injury Prevention Report, indicating that similar data from the UK also exists to back up the claims made. Older motorcycle riders may be more likely to become involved in motorcycle accidents than younger drivers. Older drivers tend to have health issues caused by age, such as reduced vision capacity; slower reflexes that delay reaction times; and difficulties balancing. These and other health concerns can up the chances of becoming involved in a crash. When a crash does happen, it is more likely to be a serious one. This may be because older motorcycle riders tend to have faster motorcycles that can result in worse collisions. Older riders, unlike many younger riders, often have more financial resources they can devote to the purchase of a better, faster motorcycle. When older motorcycle riders are injured in a crash, they are more likely than younger drivers to suffer major complications or devastating injuries. This is because of the condition of their bodies, which are affected by age. For example, older adults may have less elasticity in the chest wall; a different fat distribution than younger riders; reduced bone strength; diabetes; cardiac issues and hypertension. 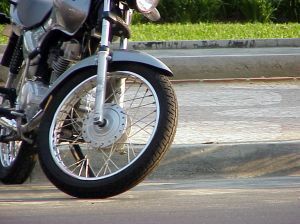 When someone with these or other medical problems is involved in a motorcycle crash, there is a greater chance of something going very wrong as compared with a young healthy person in a collision. Motorcycle riders ages 60 and up are three times more likely to need to be hospitalized due to their injuries after a crash than a driver who is in his 20s or 30s. Motorcycle riders ages 60 and up are two and a half more likely to get seriously injured in a motorcycle crash than those who are in their 20s and 30s. Clearly, as these statistics show, there is a big difference when it comes to older drivers vs. younger drivers involved in motorcycle crashes. Older drivers should take note of the special risks that they face and should do everything possible to avoid accidents and serious injuries, including wearing appropriate safety gear and driving in a safe and cautious manner. A recent weekend motorcycle accident in Springfield has finally taken the life of a local man. The 33-year-old motorcyclist was driving down Wilbraham Road when a passenger vehicle pulled out in front of him. The motorcyclist tried to swerve out of the way but was unable to do so in time. While trying to avoid the car, he laid down his bike and slid. He was taken to the Baystate Medical Center where he later died. The accident happened shortly before 10:00 p.m., according to the Boston Globe. 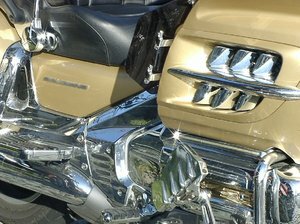 Our Boston motorcycle accident lawyers understand that we’re seeing more and more motorcyclists on our roadways as the skies clear up and the sun starts to shine through. It’s that time of the year when bikers dust off their helmets and hit the open road. It’s also a time when motorists need to be more careful behind the wheel and keep an extra watchful eye out for these vulnerable motorists. Some of the most common accidents that involve motorcyclists happen when a passenger vehicle pulls out right in front of them. This happens because most motorists fail to see these two-wheeled riders on our roadways. We can’t stress how important it is for drivers to make sure they’re aware of their surroundings at all times and that they take that extra two seconds to look for motorcyclists before making a move in traffic. Did you know that motorcyclists are about 25 percent more likely to get into a fatal accident than the occupants of a passenger vehicle? As a matter of fact, more than 10 percent of all accidents that happen in the U.S. involve motorcycles. These accidents are oftentimes fatal because motorcyclists aren’t offered as much protection as we are from our passenger vehicles. Head injury is the leading cause of death in motorcycle accidents. Motorcyclists are urged to wear a helmet during every ride. Helmets can help to reduce the risks of death in the event of an accident by nearly 40 percent. And with more and more motorcyclists on our roadways, it’s important for everyone to be on the lookout. In 1997, there were less than 4,000,000 motorcycles registered in the U.S. During that year, we saw about 2,120 motorcycle fatalities. Then in 2005 there were more than 6,200,000 motorcycles registered in the U.S. During that time, we saw nearly 5,000 motorcycle fatalities. That’s a near 65 percent increase over that short amount of time. 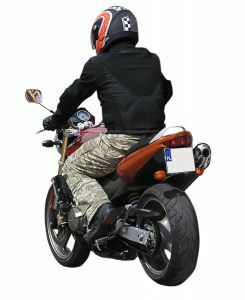 According to the Massachusetts Department of Transportation (MassDOT), motorcycle accidents are most likely to happen when a motorcyclist is riding in a driver’s blind spot, when a driver makes a turn in front of a rider, when there are dangerous road conditions and when a driver’s view is obstructed. Be careful out there through the rest of the summer travel season. Be courteous and keep an eye out for our two-wheeled friends. Safe roadways start with good driving habits. More than 300 people died in car accidents in Massachusetts in 2010. The National Highway Traffic Safety Administration (NHTSA) just released the 2010 Motor Vehicle Crashes Overview. This is the most updated car accident data available. The NHTSA concluded that nearly 33,000 people died in traffic accidents throughout the year in the U.S. This is the lowest number of fatalities since 1949. While that may sound promising, it’s important for us to point out that a good number of accidents actually saw increases throughout the year, including accidents among pedestrians, motorcyclists and occupants of large trucks. Our Massachusetts car accident attorneys understand that the total number of traffic fatalities is expected to increase. As we finished up 2010, the number of fatalities actually started to rise. Experts believe that as the economy continues to improve, the number of traffic fatalities will increase. Drivers are urged to remain cautious on our roadways and to not take this announcement as a sign to relax safe driving habits at the wheel. There are still many dangers lurking on our roadways and with the holiday season upon us, these dangers are more common. Remain alert and cautious behind the wheel to avoid a potentially fatal accident. There were two new measures added to this year’s reports. Officials with the NHTSA decided to add the “distraction-affected crashes” and the “alcohol-related crashes” measures. As technology continues to advance, devices become more readily available to drivers and increase risks for an accident significantly. In 2010, there were roughly 3,100 people who died in distraction-related car accidents in the U.S. These accidents continue to be a huge problem on our roadways. Alcohol-related accidents are also a main concern for transportation officials as these types of accidents accounted for yet another third of all traffic accident fatalities. “The findings from our new attitude survey help us understand why some people continue to make bad decisions about driving distracted–but what’s clear from all of the information we have is that driver distraction continues to be a major problem,” said U.S. Transportation Administrator Strickland. -Nearly 33,000 people were killed in traffic accidents. -Alcohol-related accidents made up about a third of all traffic fatalities. -The number of pedestrians killed increased by nearly 5 percent from 2009 to 2010. -The number of motorcyclists killed increased by nearly 35 deaths from 2009 to 2010. -The number of large truck occupants killed increased by roughly 6 percent from 2009 to 2010. -The number of vehicle occupants who were injured while wearing a seat belt during an accident increased. -The number of fatal accidents in rural areas decreased, while the number of fatal accidents in urban areas increased significantly. -The number of fatalities among individuals over the age of 55 increased significantly. -Twenty states experienced increases in the total number of fatalities. -Massachusetts saw a decrease of roughly 25 fatalities from 2009 to 2010. 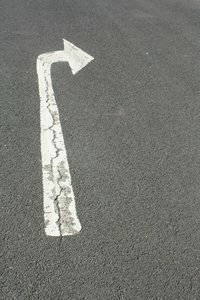 As we round out the remainder of 2011 and head into 2012, drivers are urged to remain cautious on our roadways. As the economy continues to recover, more motorists are expected to hit our roadways, which will bring along increased risks for a fatal accident.